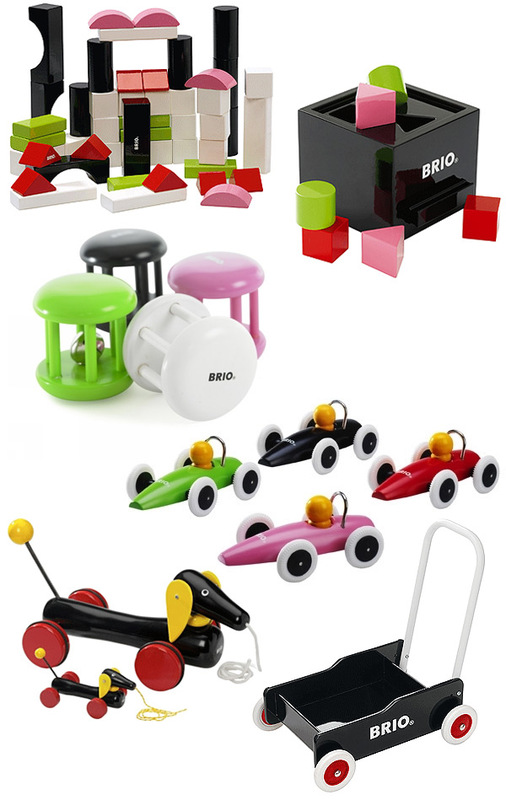 Brio. Their logo always flashes me back to childhood and makes me imagine those woody tracks that interlock, and the adorable, simple, primary colored, magnetic train cars that you could link up… But it seems like they have headed more towards Playsam with these adorably bright, glossy, lacquered toys. Remember the shape sorting box was on NOTCOT.org a while back? 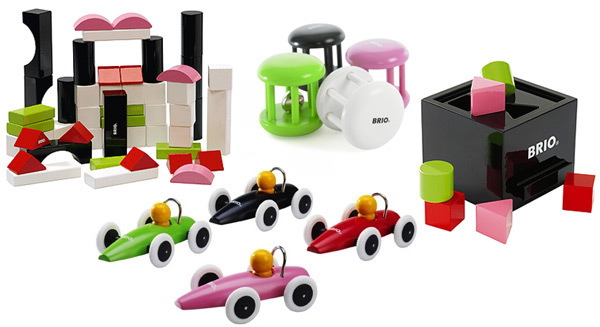 Well, in addition to that, you can also find matching glossy building sets, rattles, and the coolest little race cars! Can you imagine a prettier kids gift for designer moms and dads? Even if you outgrow playing with them (is that even possible? ), they’d look beautiful as part of the decor. Also see the pull toys and push cars after the jump. The cars and rattle don’t seem to be on the main Brio site, but i found them at Cloud Berry Living.